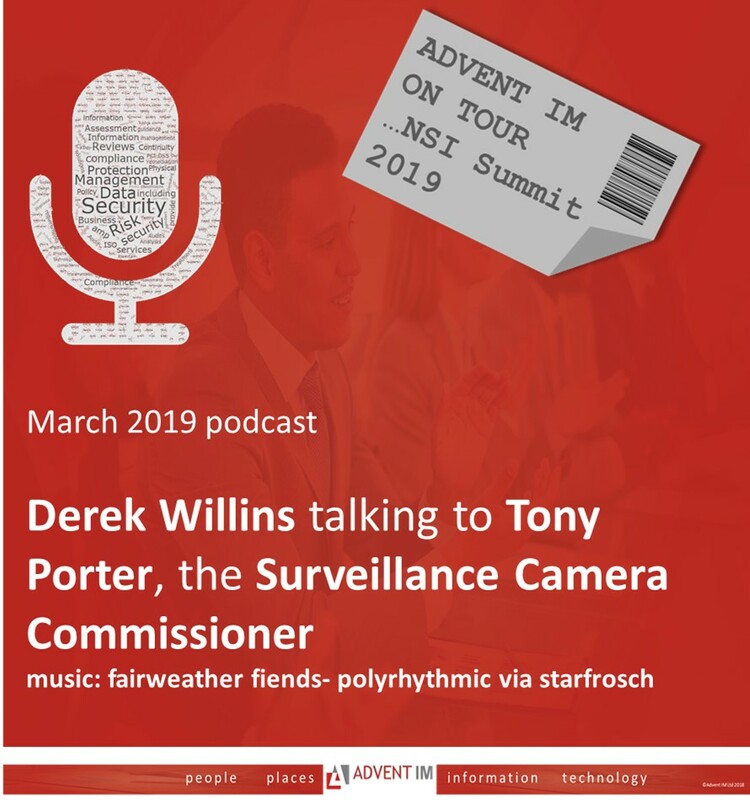 As you will be aware, our MD, Mike Gillespie has been acting as Cyber Security adviser to Tony Porter, The Surveillance Camera Commissioner on a pro bono basis, for some time. So of course we are delighted to help the Commissioner share the news of the inaugural Surveillance Camera Day and its launch at IFSEC this year. As part of the National Surveillance Camera Strategy for England and Wales the Surveillance Camera Commissioner is holding the World’s first Surveillance Camera Day on 20 June. The purpose of the day is to raise public awareness about the provision and operation of surveillance cameras and to enhance public debate. In doing so it will encourage conversations that will help inform policy-makers and service providers regarding societally acceptable surveillance practices and legitimacy for surveillance camera systems that are delivered in line with society’s needs. There will be a number of different elements to the day. The Commissioner is encouraging surveillance camera control centres to throw their ‘doors open’ so that the public can see, first hand, how they operate. To complement the doors open initiative a number of surveillance camera operators will be publishing a surveillance camera factsheet, setting out the basic facts of their system, including what it is designed to do, and the number of cameras. The Commissioner will also be launching a ‘secure by default’ standard for manufacturers at the IFSEC International Conference in London. Where manufacturers meet the new standard it will ensure that the default settings of a product are the most secure settings possible. This means they are much less likely to be vulnerable to cyber attacks. More information about the day will be made available over the coming weeks and anyone who wants to get involved should get in touch with the Surveillance Camera Commissioner’s Office. Surveillance Camera Day is a world first. The UK is sometimes referred to as ‘the most surveilled country on the planet’. I want to start a conversation about how surveillance cameras are used, why they’re used and who is using them. Cameras are used to keep people safe but new and emerging technology can lead to greater infringements to our civil liberties. Civil engagement is a key strand of the national surveillance camera strategy and I want people who use cameras to shine a light on what they do – how they’re using cameras to protect communities not spy on them. The Surveillance Camera Commissioner is appointed by the Home Secretary but independent from government. More than £2 billion per annum is spent on video surveillance in the UK. Professor William Webster, Director of the Centre for Research into Information, Surveillance and Privacy (CRISP) and Professor of Public Policy and Management at the University of Stirling leads the civil engagement strand of the national strategy and is leading on arrangements for Surveillance Camera Day. IFSEC International is the biggest security exhibition in Europe which takes place over three days at London ExCeL (18 – 20 June). 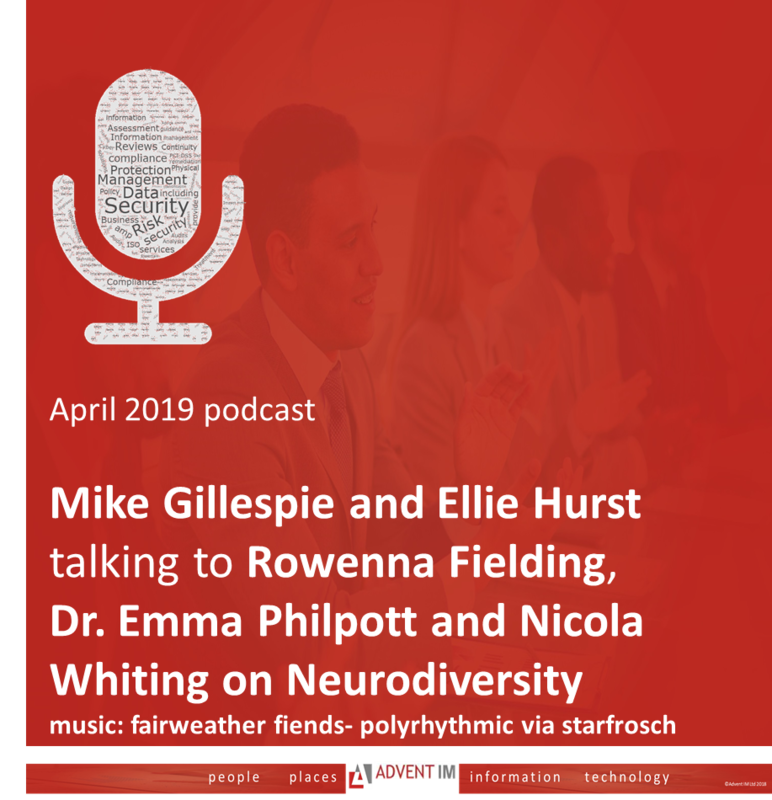 We were lucky enough to have a great chat with Dr Emma Philpott (UK Cyber Security Forum and IASME), Rowenna Fielding (Protecture) and Nicola Whiting (Titania), on the topic of neurodiversity. There are some #Infosec and #Cybersecurity references but this podcast is for everyone. We talk about perceptions, employment, training, attitudes and hopes for the future. We hope you enjoy it and we also hope it contributes to #Autismawarenessmonth in a positive and helpful way, with the keen hope of also raising respect and empathy. You can download copy to take away if you wish, (link below pic), there is also a version with titles on our YouTube channel if you prefer. The need for quality #leadership in this area comes across very strongly. Plenty of positive outcomes possible with good leadership…. You have read this headline elsewhere today. It may have been another story that you noticed without noticing, perhaps made a 'tsk' noise about then moved on, possibly to read about the latest data breach or ransomware outbreak. The report produced by the ICO on information risk in higher education, is an excellent resource that every university and college should be embracing. It is a pragmatic response to increased security breach in this sector, produced in a sensible and common sense, practical way. As you know, common sense, practicality and pragmatism are Advent IM bywords, so it made for a good read. Our experience as training providers for SIRO and IAO roles has taught us that as these people move through organisations, they take great practice with them and its spreads to become part of the culture. Our experience as outsourced DPO services providers has demonstrated the need for all organisations to better understand the scope and nature of the information they hold and force them to examine how they manage and use it. In many cases, it has led to freeing up of resource as long held data is removed and space recovered both on networks and physically as records are securely destroyed and the storage space put to better use. If you want to read the full report, it is here. And feel free to download the visual of some of the key points from the report. The objective of ISO/IEC 27552 is to expand the existing ISMS with privacy-specific controls, creating PIMS to enable effective privacy management within an organisation. Robust PIMS implementation can bring many potential benefits for Personal Information Controllers and Processors. Firstly, managing compliance to multiple privacy regulations and policies from multiple authorities can be difficult especially when regulations are not organised in ways to enhance implementation by Personal Information Controllers and Processors. Within Annex C of the standard, one single control is often able to account for multiple requirements from General Data Protection Regulation (GDPR). This approach significantly reduces the complexity in meeting the applicable regulations. (Annex C provides a helpful mapping of the clauses of 27552 to the Articles of GDPR). Secondly, Data Protection Officers are expected to provide evidence to senior management and organisation board members on their progress in terms of their privacy regulatory compliance. Compliance evidence organised based on PIMS and, potentially, its certification can provide the necessary assurance to senior management and board members that applicable privacy requirements are met. Thirdly, PIMS certification can be valuable in communicating privacy compliance to customers and partners. Personal Information Controllers generally demand evidence from Personal Information Processors that the Personal Information Processors’ privacy management system adheres to applicable privacy requirements. A uniform evidence framework based on international standard can greatly simplify this communication of compliance transparency, especially when the evidence is validated by an accredited third-party auditor. This necessity in communication of compliance transparency is also critical for strategic business decisions such as mergers and acquisitions and co-controllers’ scenarios involving data sharing agreements. Lastly, PIMS certification can potentially serve to signal trustworthiness to the public.